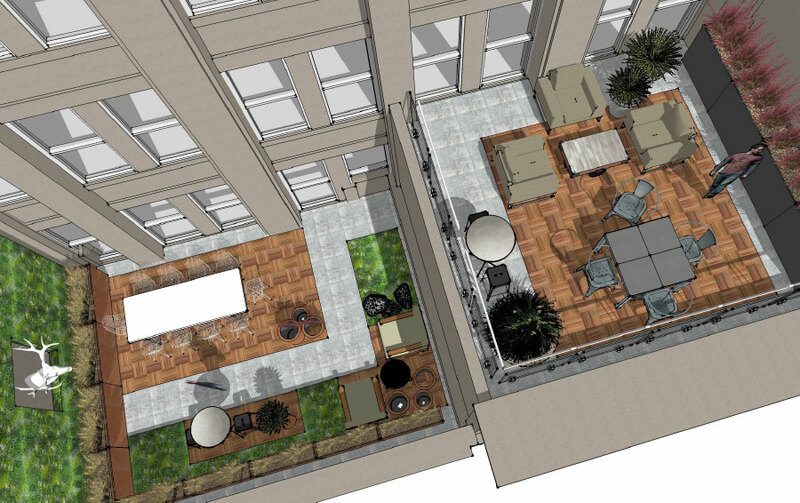 Private terraces on 11th street sit atop a busy urban streetscape, with bustling activity below and views to the North as far as the eye can see. 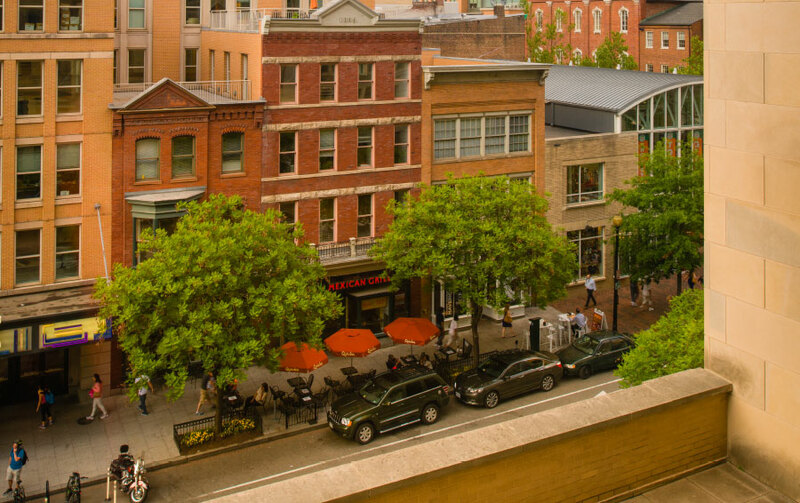 Bustling sidewalk cafes, restaurants and charming storefronts can be seen from North facing terraces along E street. 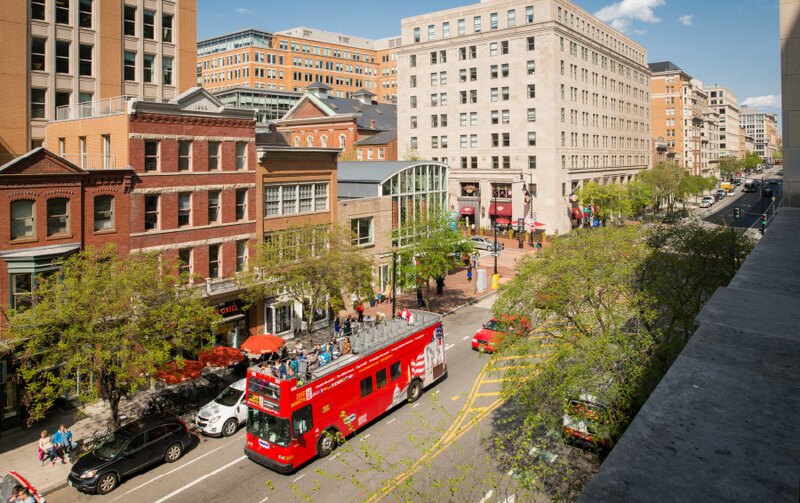 Preserved historic facades—including mid-18th century Italianate-style row houses— line E street and create a charming backdrop to popular cafés and outdoor dining spots. 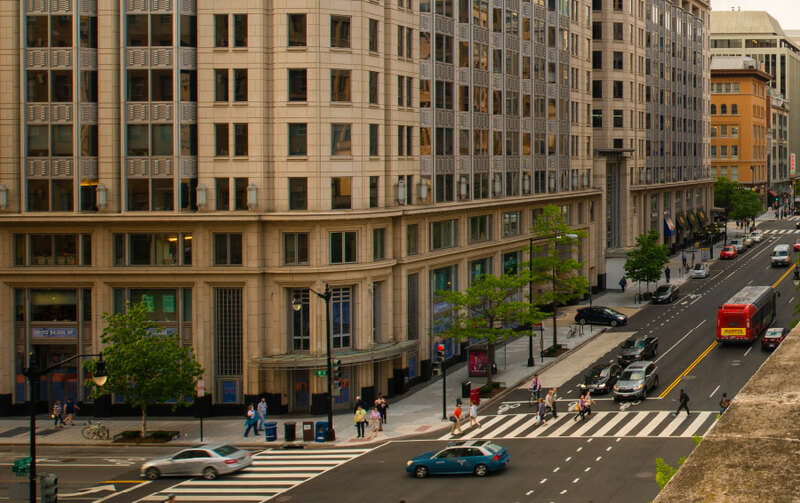 The 1000 block of E street is rich with history and culture. 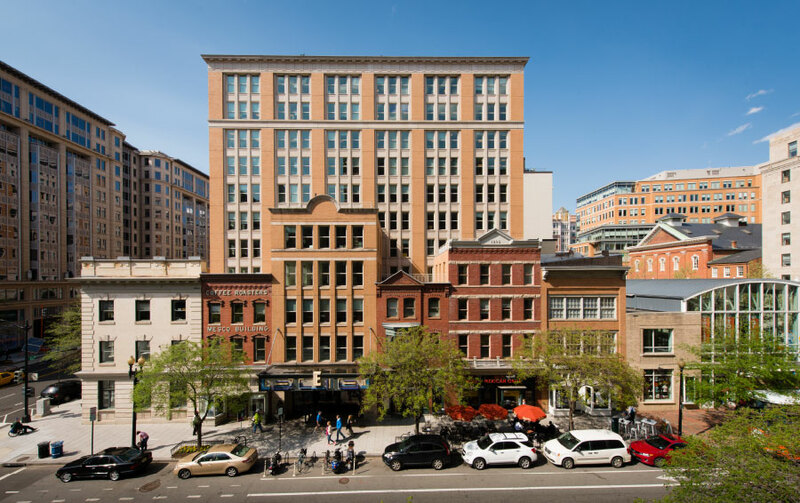 The iconic MESCO Coffee Roasters Building and the Landmark’s E Street Cinema add authenticity and charm to northeast views. 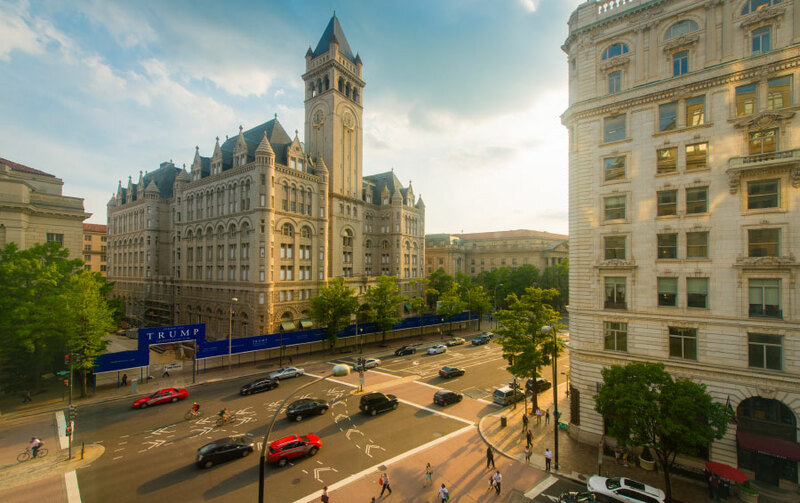 To the Southwest, tenants will enjoy views of the iconic Old Post Office Pavilion, which will soon emerge as the Trump International Hotel. At twilight, views of the historic clock tower’s Romanesque arches and turrets are particularly breathtaking. 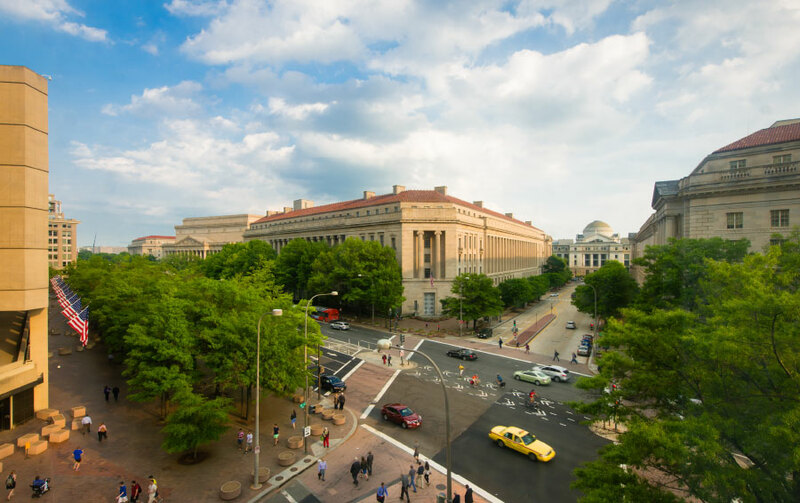 Windows facing Pennsylvania Avenue & 10th street, offer views of the stately Department of Justice, the elegant Smithsonian Museum, and every 4 years, the Inaugural Parade. 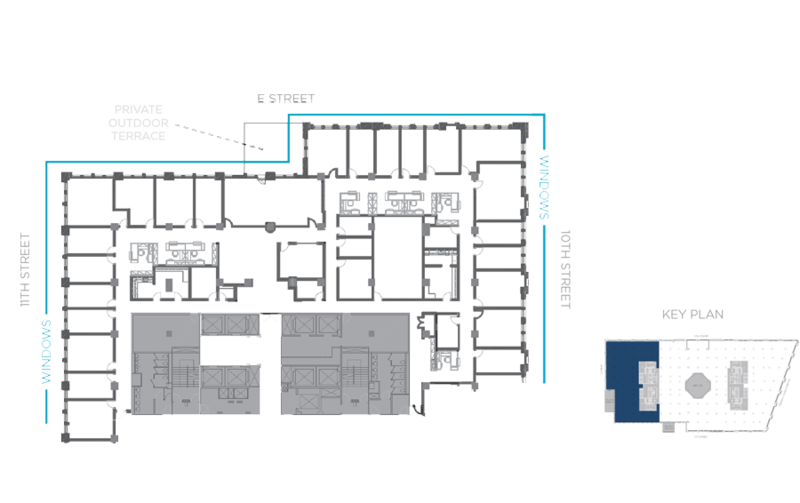 This Southeast corner of the building is situated directly adjacent to the J. Edgar Hoover Building, which is poised to become DC’s next great mixed-use environment. 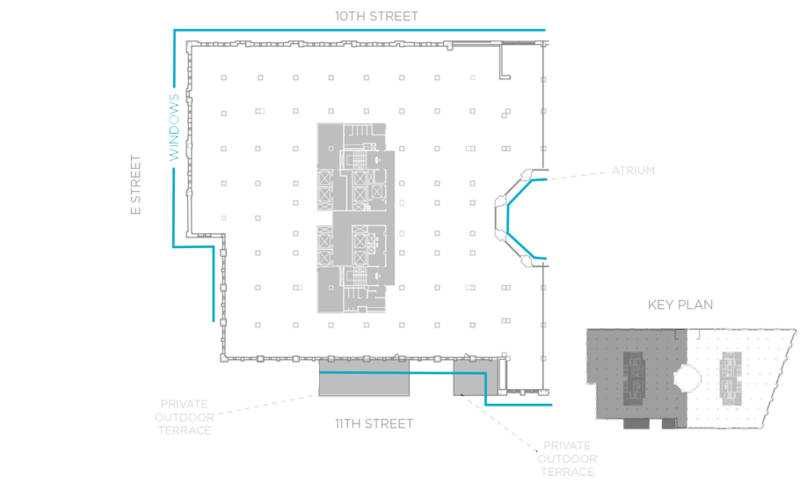 New, full-height interior windows provide increased natural light and bright, airy views of the dramatic center atrium, renovated to include sculptural lighting fixtures and contemporary wall finishes. 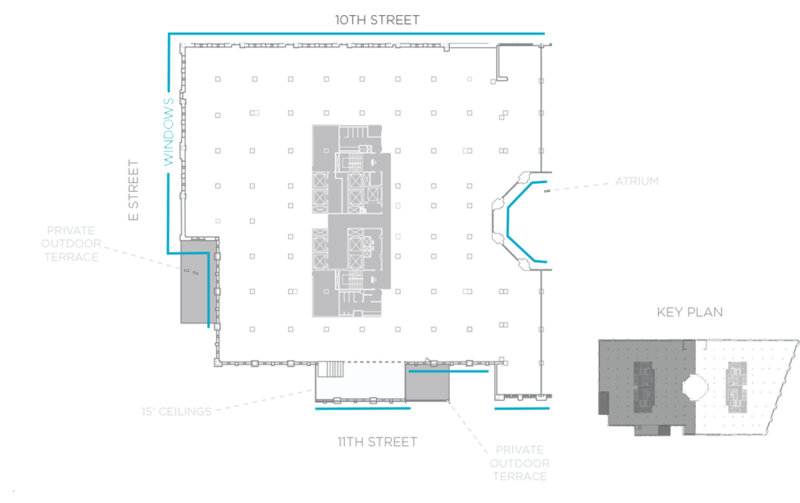 Reflecting the needs of modern professionals and contemporary businesses, 1001 Pennsylvania Avenue features 4 newly renovated private terraces, providing exclusive outdoor space to tenants and their guests.